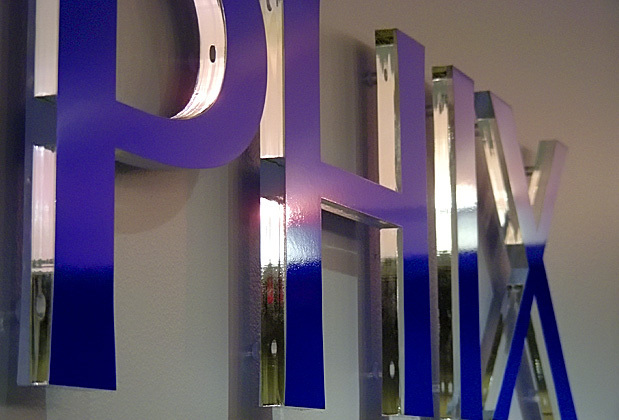 Custom Office design sign, made of 1/2" acrylic base with custom color film on first surface and exposed edges. 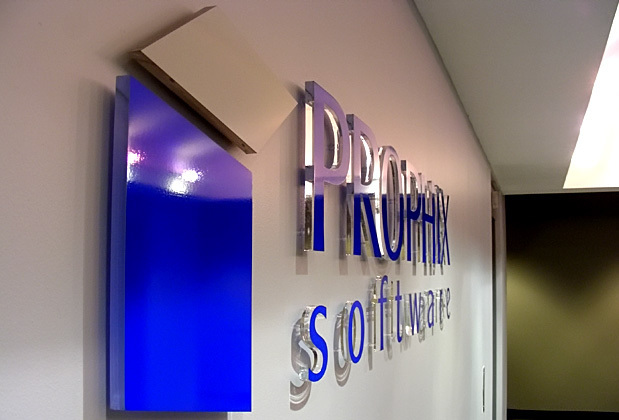 Mounted to the wall with unique art signs mounting system. 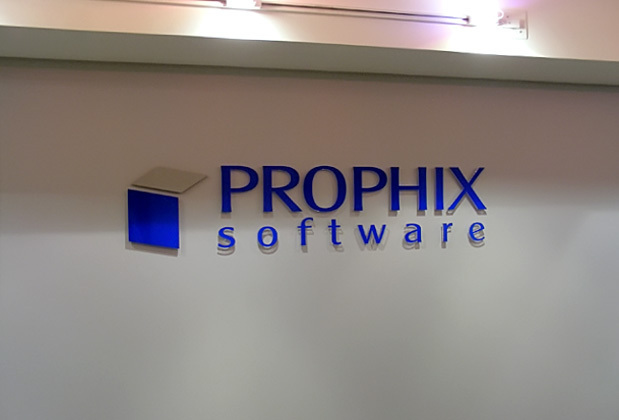 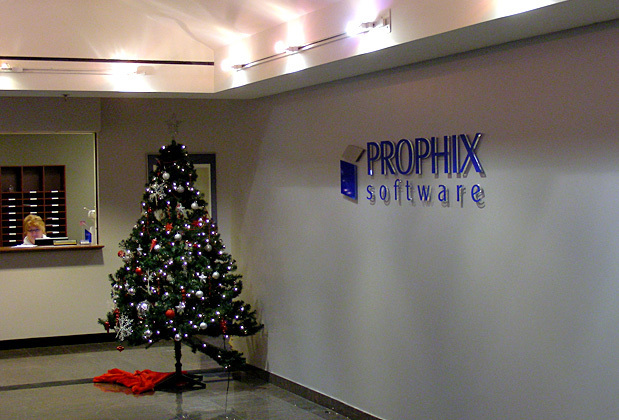 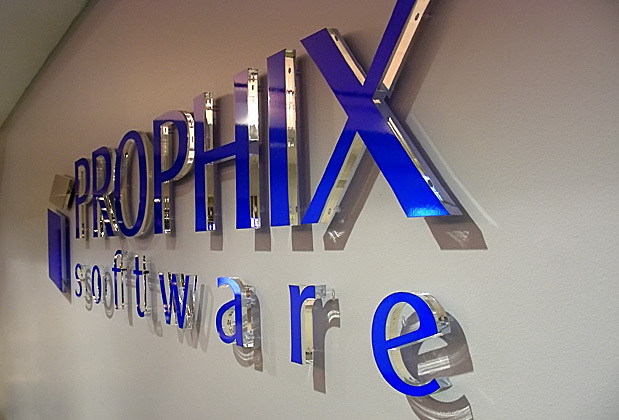 Customer - Prophix Software Toronto.